Producer Imogen Banks says the new Network Ten drama Sisters was commissioned because of a pilot episode they were able to film at the end of season six of Offspring. “It’s something that's not done very often [in Australia],” she says. “It’s because of some of the savings you get when you're already in production and can keep the crew running. 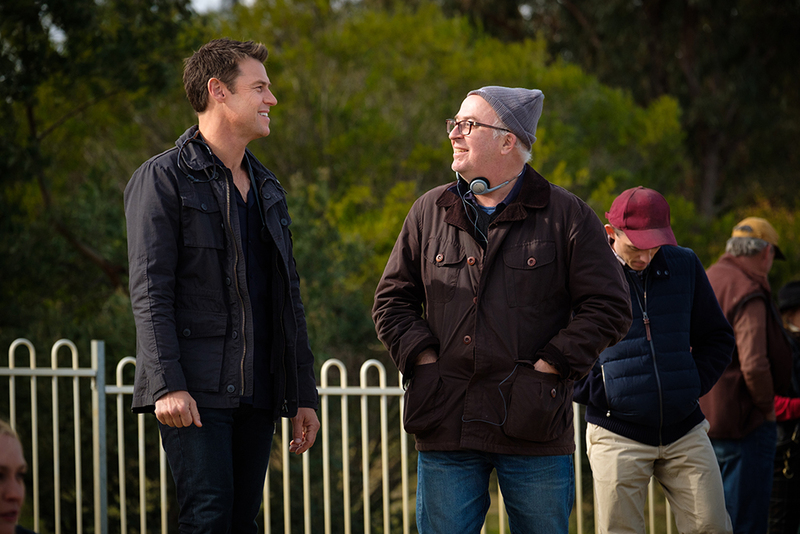 When Network Ten offered Endemol Shine the opportunity to make a new pilot, Banks and her co-creator Jonathan Gavin (who writes and script produces on Offspring) began trying to find the right concept. “We were thinking about IVF, thinking about the ways that families are constructed, thinking about the ways that people have children now, I mean we all know people who have been through rounds of IVF,” Banks says. Gavin says the idea struck them: what if you were part of a family that was thrown together by circumstance? And so Sisters focuses in on three women from different walks of life – played by Maria Angelico, Lucy Durack and Antonia Prebble – who discover they are not only related, but have more than 100 siblings. Gavin says they made Sisters for Australian audiences, but there is the hope that it will transcend and find a home internationally as well. When it’s put to him whether they look for ideas that will travel (Offspring is available around the world on Netflix), Gavin says it’s a question that’s become even more pressing since they made the pilot in 2016. “It's time for us to stop pretending that our work doesn't need to compete. It does need to compete because the audience has an enormous amount of choice not only on the free-to-air (FTA) channels but through every kind of streaming online service, through every device. But not only that. The exciting thing is that our work is as good as anywhere. We don't have the enormous production budgets that happen in some other countries, or for some other producing companies, but that doesn't mean the work and our drama isn’t every bit as good as anywhere else in the world,” he says. He says the Australian television industry does have challenges ahead, because every year TV gets more expensive to make. “And so we absolutely need the investment. We have to have investment from government. Otherwise we won't have Australian stories… No one else is going to make them,” he says. Gavin says government support should also go toward a diversity of voices. “Not just white mainstream voices, but also Indigenous voices and all of our migrant voices need to be a part of that conversation too,” he says. With Sisters, it is hard not to notice the amount of women driving the series. There’s the producers (Banks and Nicole O’Donohue), the three female leads in the cast, and all three of the directors are also women (Emma Freeman, Shannon Murphy and Corrie Chen). O’Donohue says the choice of directors wasn’t intentional, but it’s certainly something they’re excited about – particularly for someone like Chen who is at the beginning of her career. “I had the same sort of support from women – Rosemary Blight, Kylie du Fresne, Jan Chapman, Leah Churchill-Brown in the early days of my career – so it's nice to be passing the baton,” she says. Banks says they have always used series like Offspring as a way to give someone on-the-job experience. “I think every season we've given somebody their first television gig or certainly their first hour drama gig. So last year it was Shannon Murphy (who is now a director on Sisters). This year it was Matt Moore,” she says. 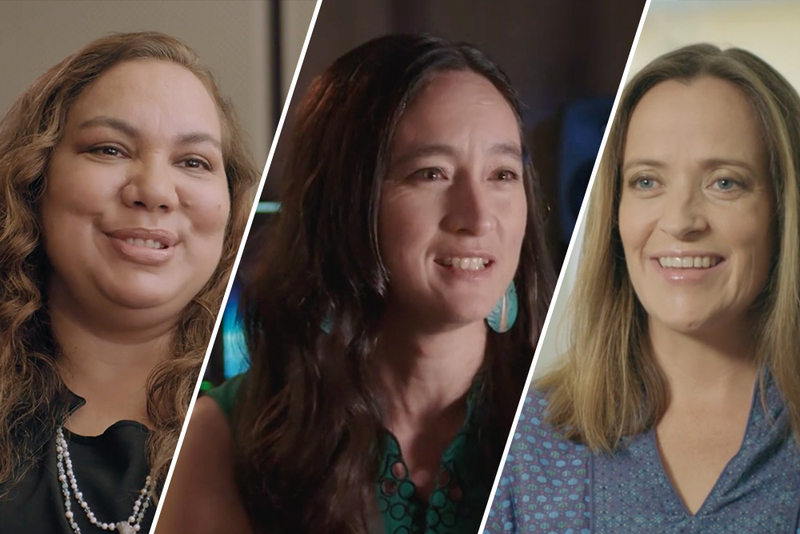 In August 2017, Banks and screenwriter Alice Bell (Puberty Blues, The Beautiful Lie) announced the recipients of their Gender Matters: Brilliant Careers initiative Smart for a Girl: ROAR. Banks says they have already organised one of the writers’ rooms. “We did the first week of a project called The Spoils and that was just really, really great. Alice and I were really exhilarated by it… it really felt like it was an experience that they wouldn't have had without the initiative. These young writers have been pulled into what O’Donohue calls the “orbit of Imogen”. She says she’s lucky to have also been pulled into its gravitational circle too – first on Offspring season 7 and then on Sisters. “After producing my first film on my own (Griff the Invisible) I certainly came out of it going I'd like to have a collaborator. Producers collaborating together, it just puts you in such a stronger position. You've got someone there to workshop things with and who you can really bounce off,” says O’Donohue, who has also produced titles such as The Daughter with Jan Chapman.